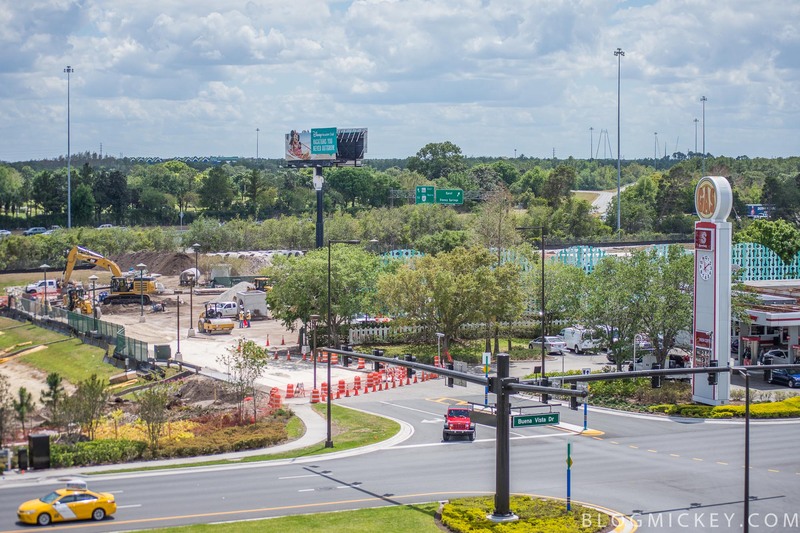 Construction has now begun on the third parking garage for Disney Springs. 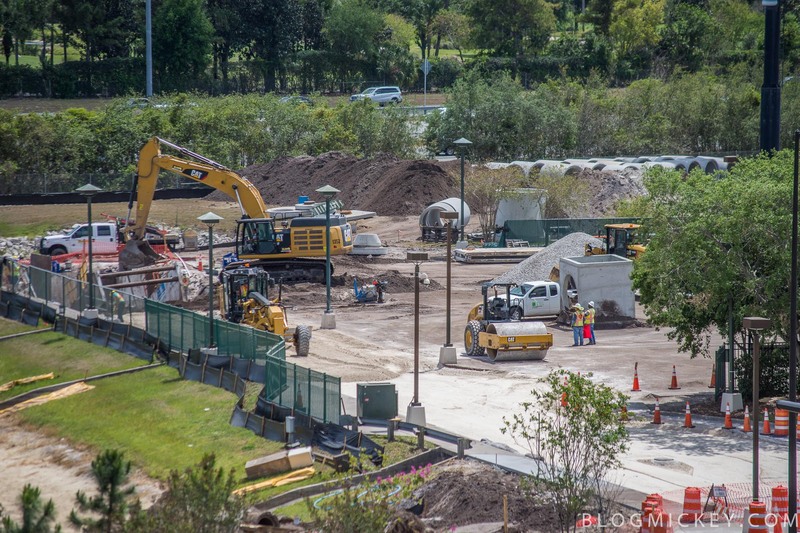 The Cast parking lot behind the Speedway has been closed and land clearing has begun. 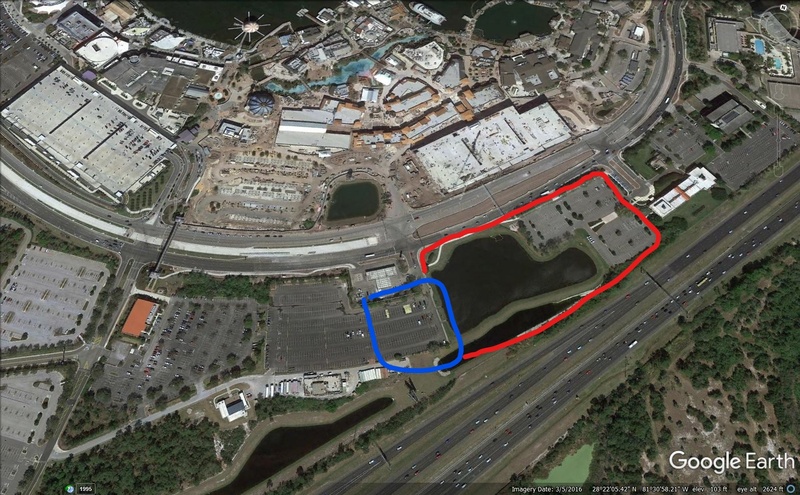 A look at the area under construction in blue, while the entire project footprint is the blue plus red areas. 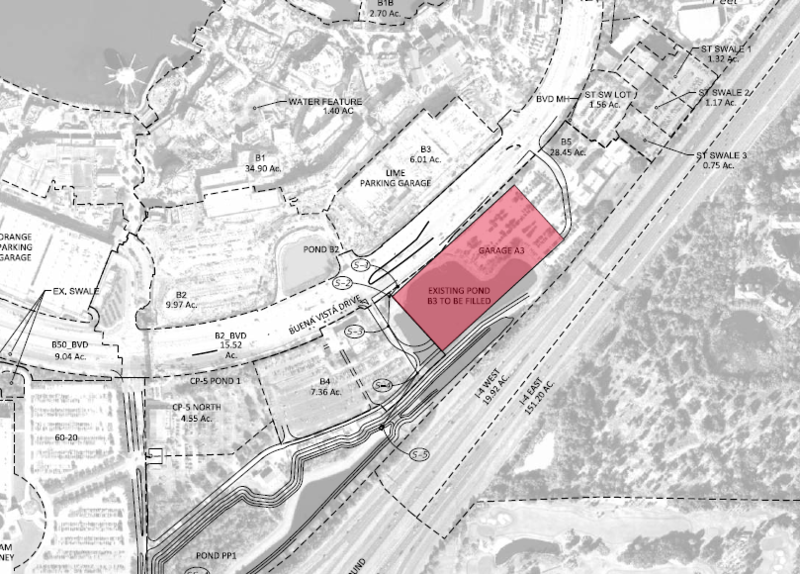 Here’s a look at the official permit.